The Southcott Agency provides knowledgeable service in a timely fashion. The Southcott Agency actually works for you, not the insurance company. I truly appreciate the kindness and help our agent gave us when Garry passed away-he showed true concern and greatly assisted with any questions I had. Thank you. When you set up an appointment with The Southcott Agency it is at your convenience. They are very good at explaining policies. They know how busy you are and do not take up your time unnecessarily. The Southcott Agency has been very helpful with all our insurance needs. They are very patient when we do not understand and explain it all again. I have much better coverage than I had before. How helpful, friendly, and knowledgeable you are. You’re the Best! Nobody else can even come close to your service. Very helpful to me and can answer all of my questions I have. Very fair on prices on my insurance. I have checked with other companies. If I am busy in the fields my agent will track me down to sign paperwork or anything else. They will call me or tell me anything I need to do or get done for my insurance. Thank you for all the help. I truly felt my best interests were in mind when he presented the policy. He was personable, professional, honest, and hard working. He took a genuine interest in my needs and wants. To me this company exudes a Norman Rockwell feeling – down home, old fashioned, neighborly, honest, and comfortable place to do business. They are small enough to provide excellent personal service yet well enough organized and knowledgeable to insure that our needs are taken care of on a timely basis. Our business interaction has always been based on warm personal respect and professional expertise that runs that gamut of all of our quite varied insurance needs. We value them as one of our important business partners in a very competitive marketplace. We are very pleased – goes above and beyond to help us meet deadlines and understands our coverage and claims – very satisfied. The Southcott Agency offers very god coverage and is easy to work with. The best Crop Insurance people I have ever been around. They understand a farmer’s needs and explains what the feel is best for you, then you decide. When I need an answer, they won’t B.S. me. They get will get back to me with an answer. They are very willing to work with you and do a great job of making everything clear and understandable. The Southcott Agency is very knowledgeable about crop insurance. They take the time to explain the nuances of crop insurance and help me decide what strategy is best for my farm situation. They promptly answer questions, provide alternative solutions & are very professional and easy to work with. Very Responsive and great to work with. I am a very small grower and I received great treatment. 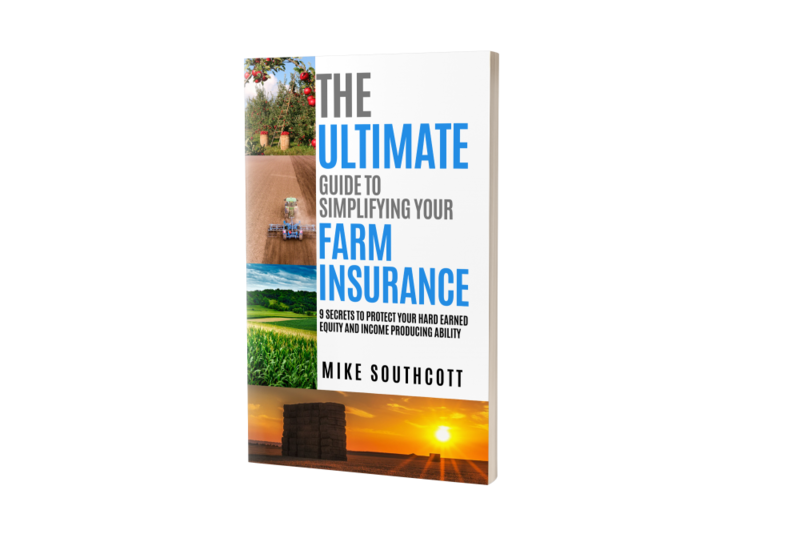 I have never purchased any sort of farm insurance before and they walked me through all of my policies explaining each one in perfect detail. I look forward to doing business with them in the future. The Southcott Agency is a very good agency. Goes above and beyond. They explain all paperwork and will continue explaining until you understand. The Southcott Agency is a wonderful and caring, & friendly company. I will recommend them to all looking for insurance. It’s worth the time you allow the agent to work with you on the comparison for insurance. That your company went above & beyond – explaining things we didn’t have coverage for but thought we had. We already referred a friend that bought our house in Bergen. We would say the price you got us for house insurance was (great) very reasonable. Southcott’s always feels like friends and family. They are diligent and get results. We are always confident they would do what we needed, should we have a claim or changing circumstances. Amazing! Very knowledgeable and helpful! A completely professional and responsive Agency. Agent met with me to craft the appropriate policy and followed up a few months later to ensure our needs were being met. The agency is cheaper than my former and was very nice. Cost competitive policies. Knowledgeable local agent who is only a phone call or text away for any questions or concerns. For me I know they have the farming back ground to advise me to my business. They help me realize where I need to have coverage and where I might be wastin my money. The have helped me come up with a plan for the future that makes sense to me. The make me feel comfortable the they are not just trying to sell insurance and get his quota. Great service, excellent response to questions. Supplies coverage you want! Not used to this quality of service! Highly recommend. Great team of people to answer any question and very friendly. I would say and I frequently DO tell people that you are all great to deal with. If I call with a question it always gets resolved. Super people to deal with. After the last bad wind storm my agent called me to see if I had any damage or possibly any claims. Where else would you get friendly service like that? We have always received great service and excellent response to all our questions from The Southcott Agency. We always receive advice on coverage we need. Never been use to this level of service. We highly recommend The Southcott Agency to anyone.